All students need social-emotional learning (SEL), and they need it desperately, because there’s simply not enough instruction for kids in schools on how to make life work. We work so hard to teach reading, writing, arithmetic, and science, but how many of our students will ultimately end up being scientists? On the other hand, every kid in science class will have to find ways to move successfully through life. Emotional skills—like expressing empathy, managing unhealthy emotions, and inducing positive emotions—are critical for dealing with life. Most of the biggest mistakes we make in life are when we are “emotionally hijacked.” If kids grow up lacking these emotional skills, we’re going to see increasingly negative and unproductive—even destructive—behavior in our schools and communities. This is why I teach a course for freshmen, most of whom are labeled “at risk,” at a large urban high school in Austin, Texas. The course is called “Methods for Academic and Personal Success.” I help students learn how to organize their time and study, as well as how to manage their emotions and build healthy relationships so they can better navigate and connect with the world around them. It’s all skill-based. And these are not “soft skills.” In my opinion, these are the most critical skills for students’ immediate and long-term success. Why Are Kids Disconnected Today? To be honest, no one really completely knows why kids seem so disconnected today, but there are plenty of conditions in today’s culture that point to likely theories. Adults work long hours to pay the bills; there are many single-parent homes; but there’s also an overload of technology bombarding our kids. Some children experience more screen interaction than personal interaction. The blooming rose of technology has real thorns when it comes to social-emotional skills. If our kids don’t get sufficient human interaction, they won’t have the opportunity to build social-emotional skills. Looking out beyond the school years, I believe MAPS is helping our students get ready for the 21st-century workforce, which increasingly depends on applied skills as much as, or more than, knowledge-based skills. If you really boil it down, most people are hired for their ability to make a professional first impression and demonstrate work ethic; and most people are fired for their inability to get along with others. These are skills that must be taught. Being taught social-emotional learning skills in school has had a dramatic impact on students’ lives, and there is national data to prove it. A recent meta-analysis of 213 school-based studies involving over 270,000 students (Durlak, Weissberg, Dymnicki, Taylor, & Schellinger, 2011) found that, compared to controls, SEL participants demonstrated significantly improved social-emotional skills, attitudes, behavior, and academic performance that reflected an 11-percentile-point gain in achievement. Meanwhile, we did an analysis at our school four years ago and found that over 60 percent of academic failures and over 60 percent of discipline problems were lodged squarely in the freshman class. These were clearly young people entering a new educational world—kids who obviously needed guidance and help. So as educators, we knew we had to do something meaningful and substantive. And that’s when MAPS and SEL made their way into our classrooms and became a vital part of the overall educational picture for us. The results have been impressive, to say the least. Over the last four years, we’ve been able to reduce academic failures by 41 percent and discipline problems by 71 percent in our freshman class. Dr. Melvin Bedford, an assistant principal who is very involved with the program at our school, is a huge fan. “This program has changed my job,” he says. “I used to deal with three to four freshman discipline referrals a day, and now I often go three to four days without a referral.” The rigor in this course is not the material itself; it’s the internalization and application of the material that makes it challenging and effective. Students and their parents regularly report that the application of a lesson or skill from class has enhanced their academic success and improved their relationships. For me, personally speaking, that’s very rewarding. R. Keeth Matheny, a former college football coach, is now a teacher and instructional coach in the Austin (Texas) Independent School District. 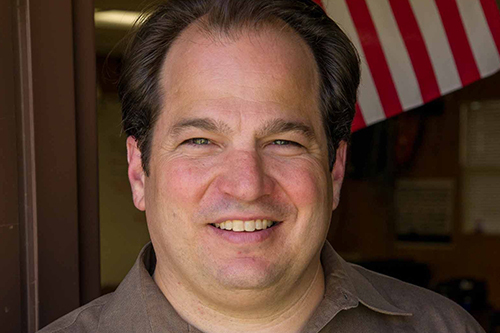 He has helped develop a highly acclaimed course for freshmen students—Methods for Academic and Personal Success (MAPS)—which features a curriculum he has co-authored, “School-Connect.” The course and curriculum focus on an engaging and collaborative environment to teach and practice social-emotional skills.